HISTORY: ADRIA AIRWAYS formerly Inex-Adria Airways, is the largest airline in Slovenia. The airline was founded in March 1961 as Inex-Adria Aviopromet, airline of Jugoslavia. In 1986 Adria left the Inex group, becoming an independent company and changing its name to Adria Airways. 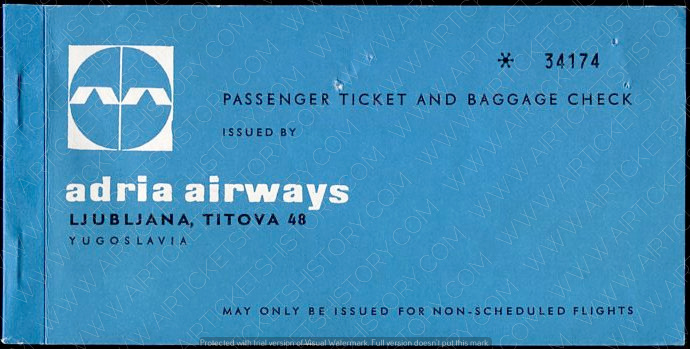 In 1992 Adria Airways became Slovenia's national air carrier and its operational structure changed.